There are no photos with those IDs or post 9060 does not have any attached images! This next Sunday, 5, in August, Llanes will gather the processors of the main varieties of cheeses from the region of Oriente de Asturias in Plaza Santa Ana. 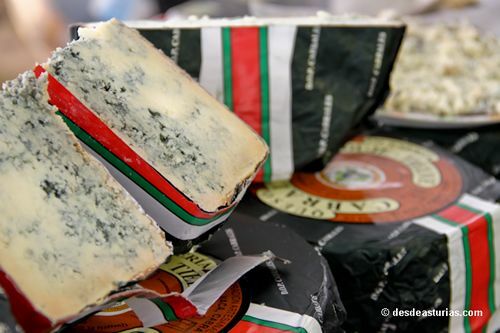 And they are celebrating, as the sample of cheeses from the East of Asturias this year celebrates its silver jubilee. This next edition will reunite the processors of the main cheese varieties of this eastern region: Gamonéu, Pría, Cabrales, Vidiago, Beyos or Porrúa, among others. In order to participate in the contest, the cheesemakers must present the products in any type of container duly labeled, with the name and address of the participant. The products presented must have been produced within the eastern region and on the participant's own farm, who will also be required to demonstrate that it complies with current regulations for the sale of cheese. The organization of this sample is borne by the Municipality of Llanes, which in turn has the collaboration of the Government of the Principality of Asturias and Cajastur. During the day a good attendance is expected, both from cheese makers and from the general public, since these summer dates bring together many visitors in the area. What an aporveche!